SAADI Gymnastics Club was established in 1970 and we have been training at the Redbourn Leisure Centre for over twenty years. We are a British Gymnastics registered club for Women’s Artistic Gymnastics and have also achieved British Gymnastics GymMark accreditation. 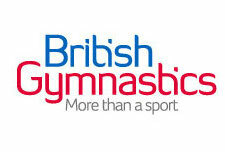 With 14 coaches qualified at levels 1-5, we cater for competitive gymnasts from the age of 5 upwards. We strive to empower our gymnasts to perform routines individually, in front of their friends, relatives and at competitions. Experience has shown us that this confidence transfers across to a whole range of activities that your children will encounter throughout life, well beyond gymnastics. We also have a strong partnership with SAADI Recreational Gymnastics Club, which caters for the growing demand for girls and boys gymnastics of all ages and abilities.